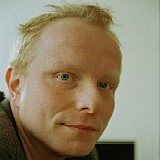 Prof. Holger Schulze (D) is the visiting professor for sound anthropology and sound ecology at the University of the Arts Berlin and head of the Sound Studies programme. He studied comparative literature, dramatics, media sciences, and philosophy. Since 2000, he has collaborated on the development of the Sound Studies Program – Acoustic Communication. Between 2002-2003, he was the business manager of the Berliner Gesellschaft für Neue Musik and since 2003 member of the Society for Historical Anthropology.